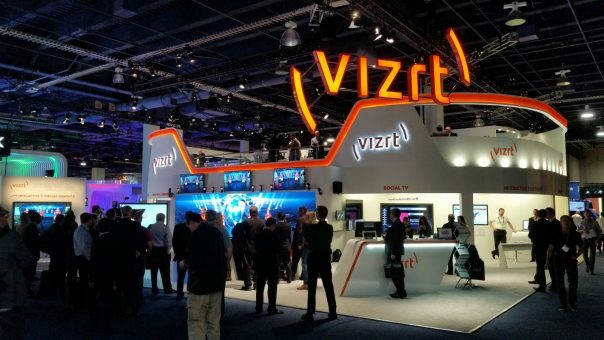 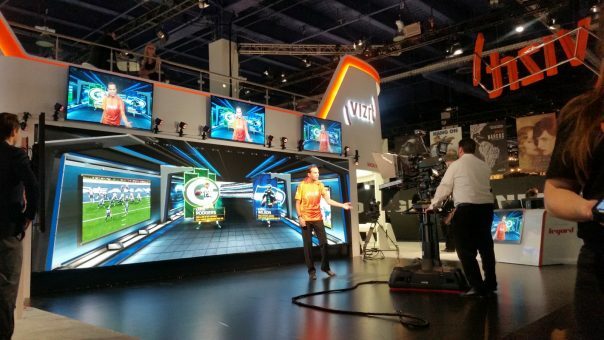 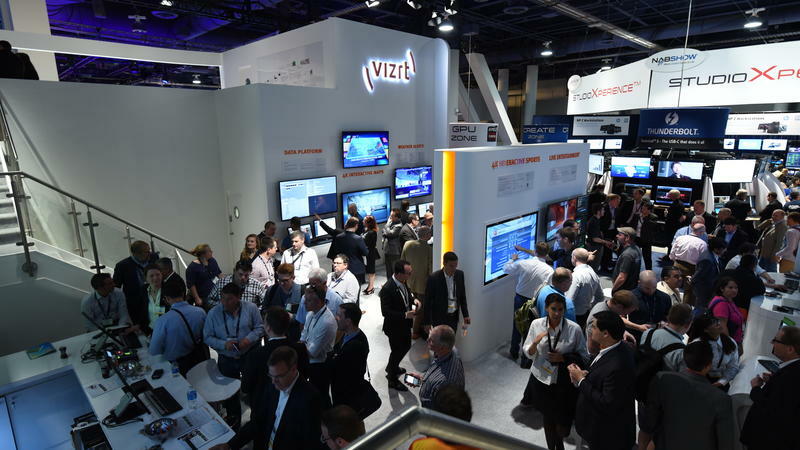 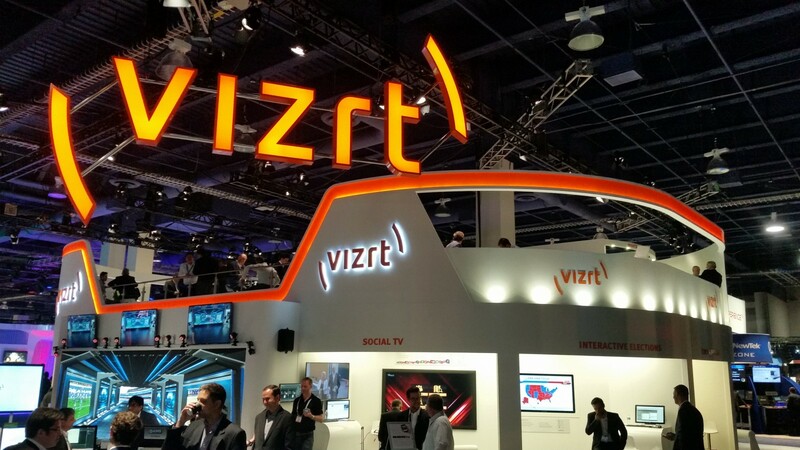 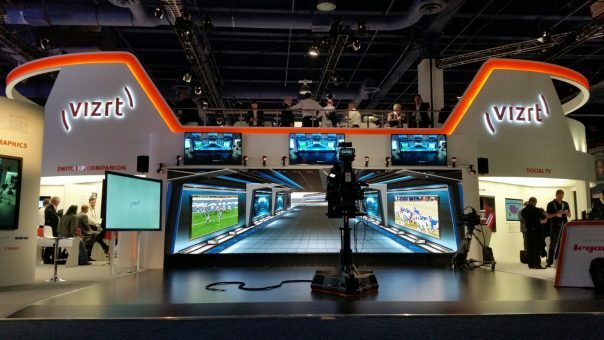 VIZRT and First Exhibition Services have a partnership stretching back for over 16 years. 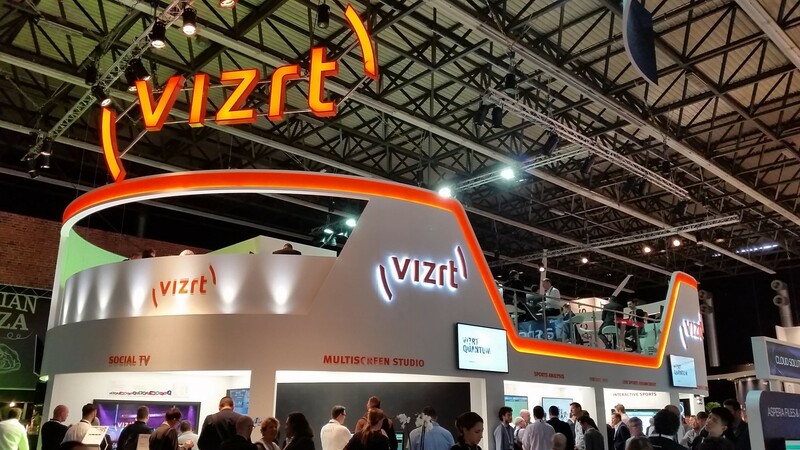 Working together we have delivered exhibition stands around the globe in UK, USA, Dubai, Netherlands, Monaco, Australia, Czech Republic and Morocco. Working closely with VIZRT our designers have been able to create fresh and ground breaking stands that have made a lasting impression. 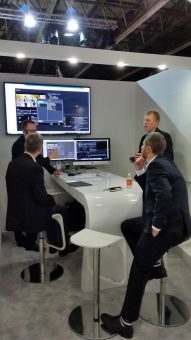 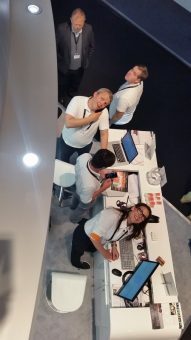 Exhibiting at the two largest broadcast shows every year the current stand had to be flexible enough to change size, accommodate an ever growing range of products and although looking the same and projecting a consistent image it has to change its layout at every event. 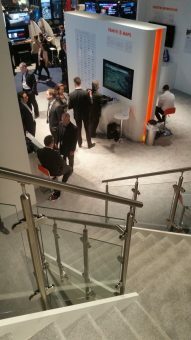 Showing at NAB 2016, Las Vegas and IBC 2015, Amsterdam this well travelled show has had considerable success. 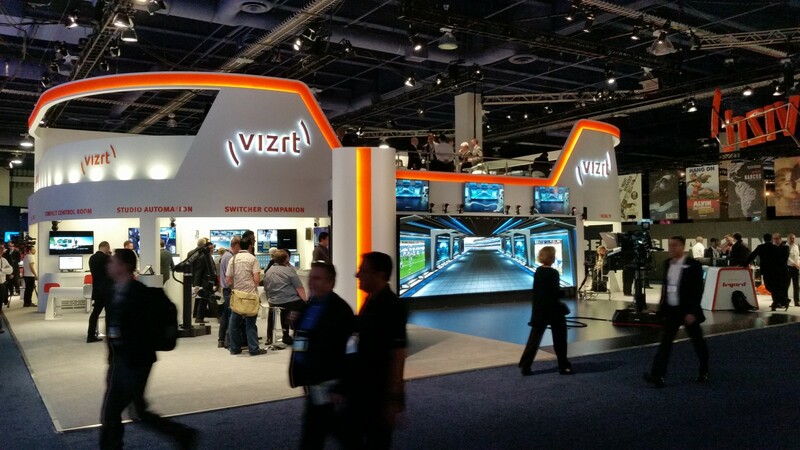 At IBC 2015, this booth was awarded the “Best stand in show” design award. Described by the judges as “an engaging design….. more than a stand this is artistic sculpture”.